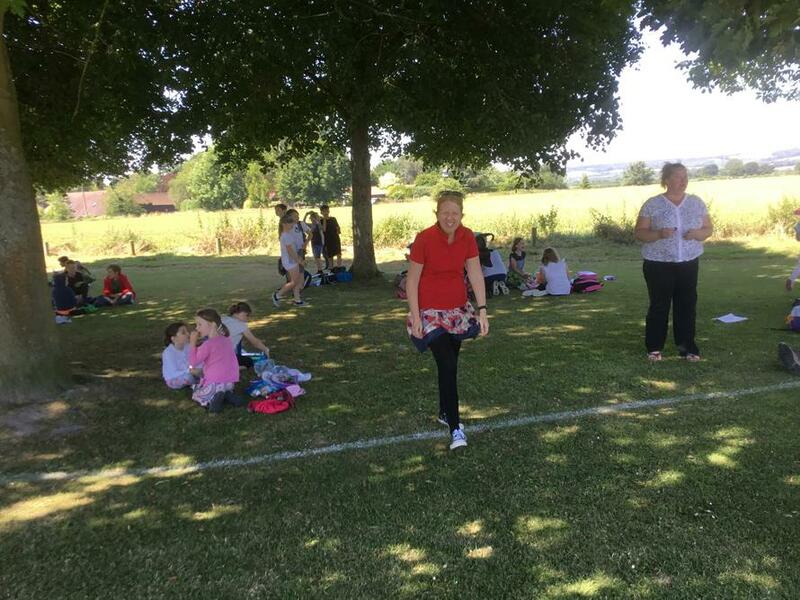 What an amazing day today was. 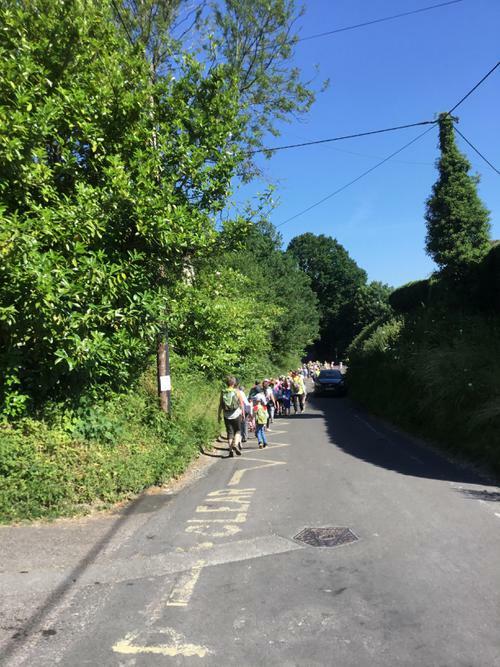 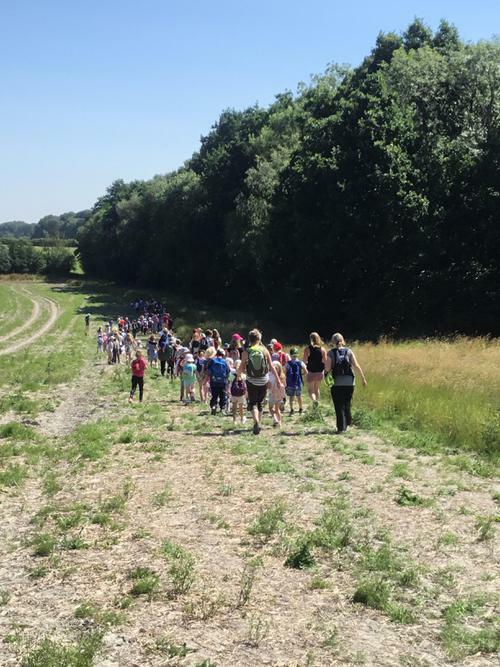 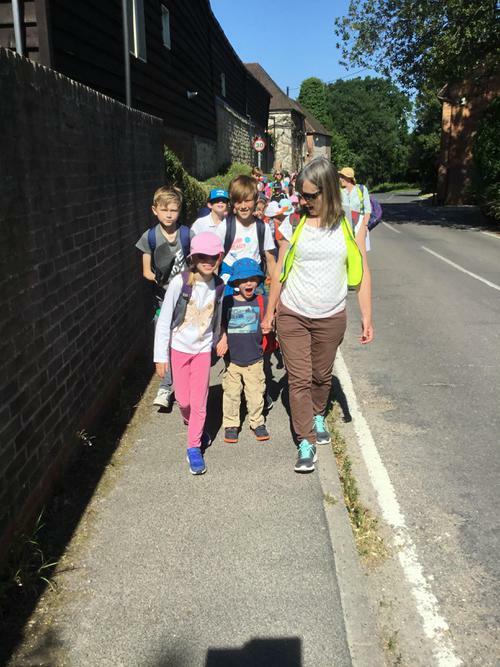 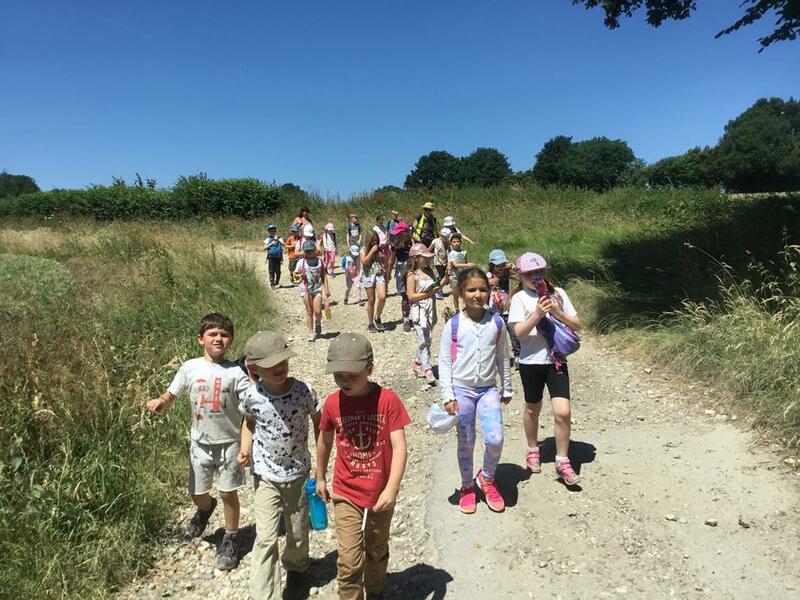 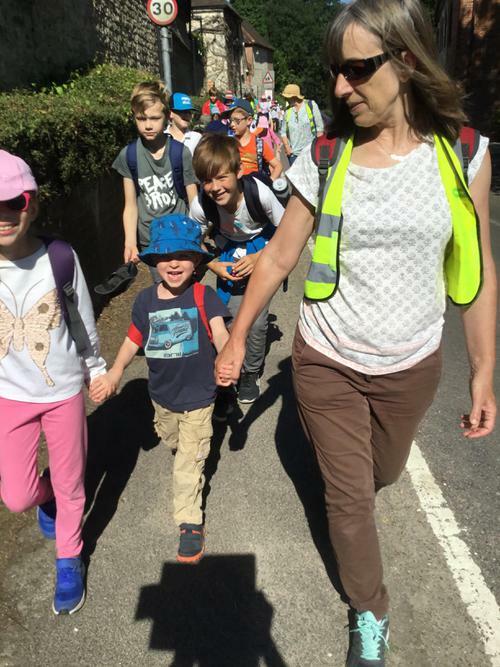 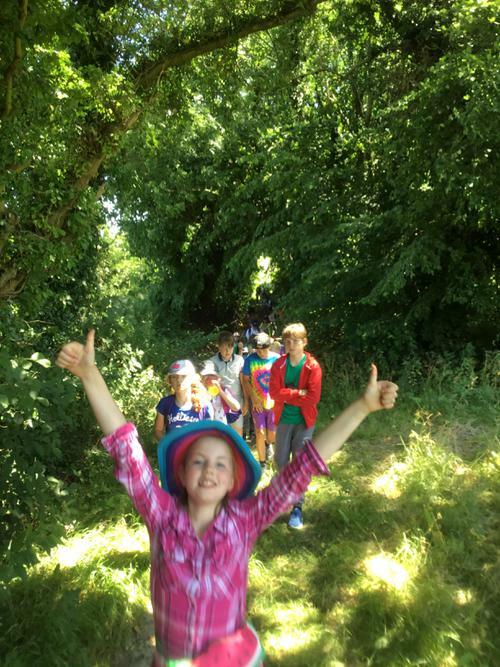 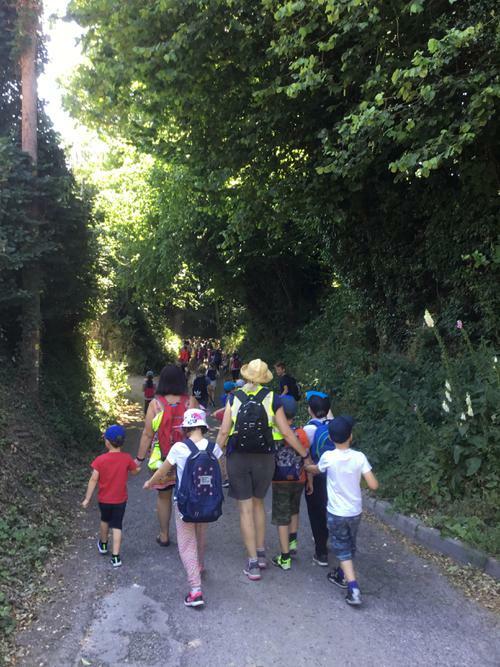 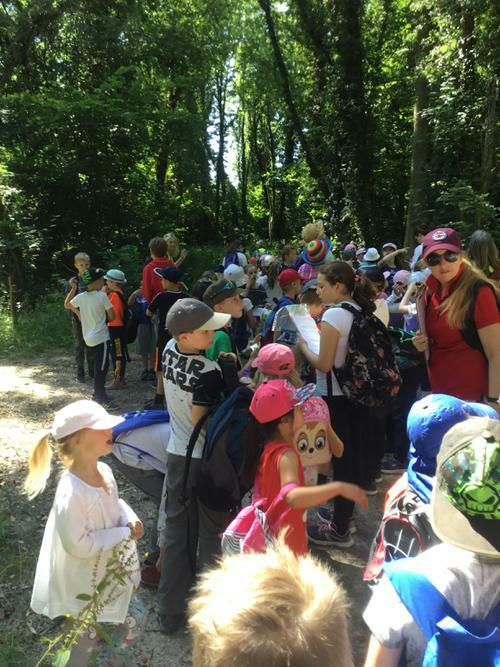 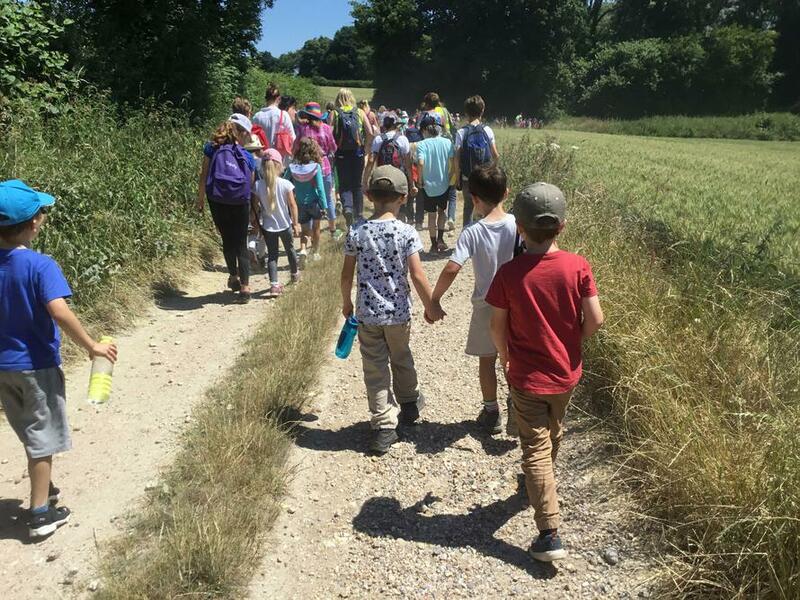 The whole school went on a wonderful walk around the Binsted area. 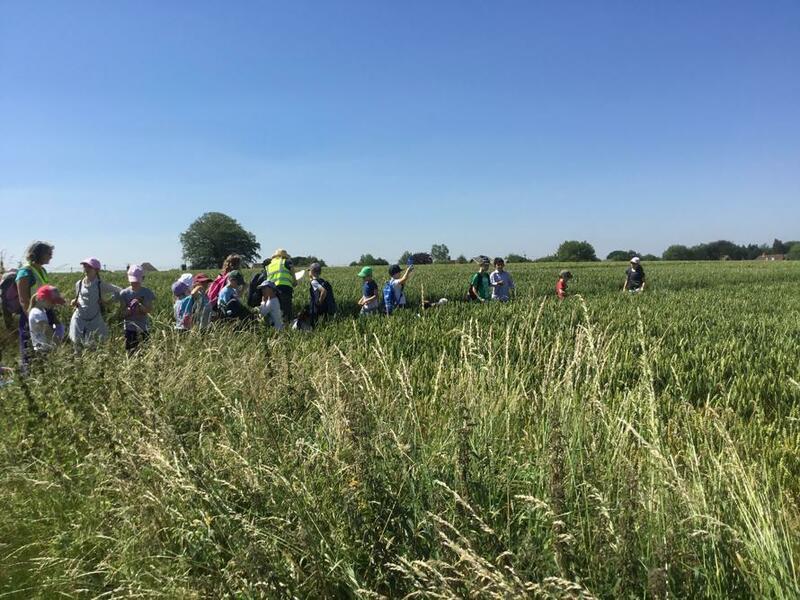 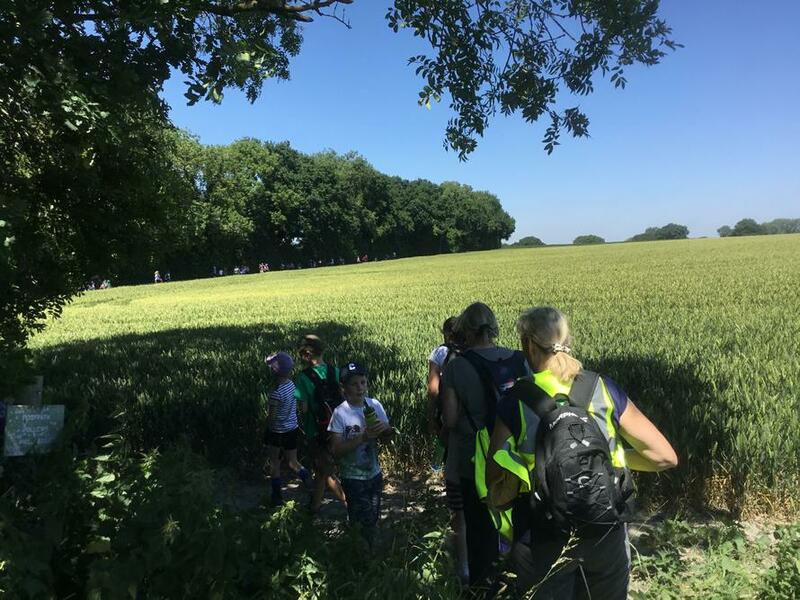 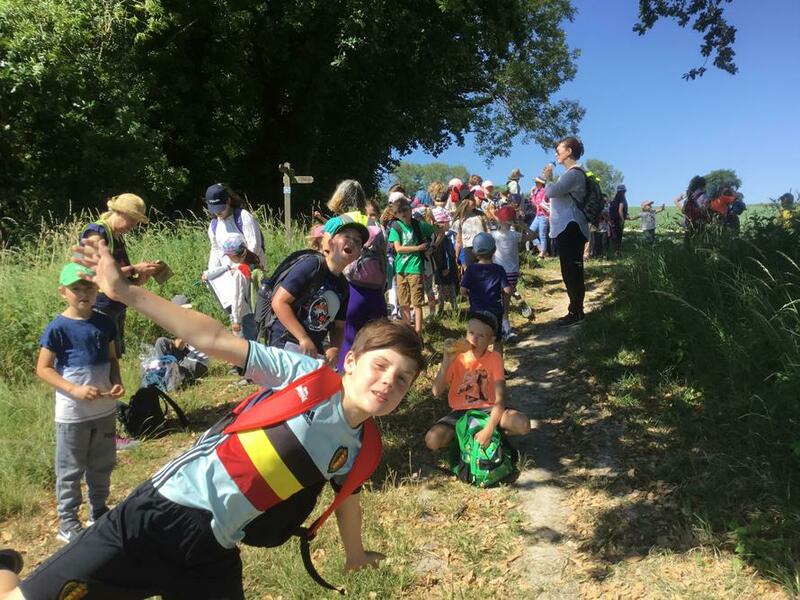 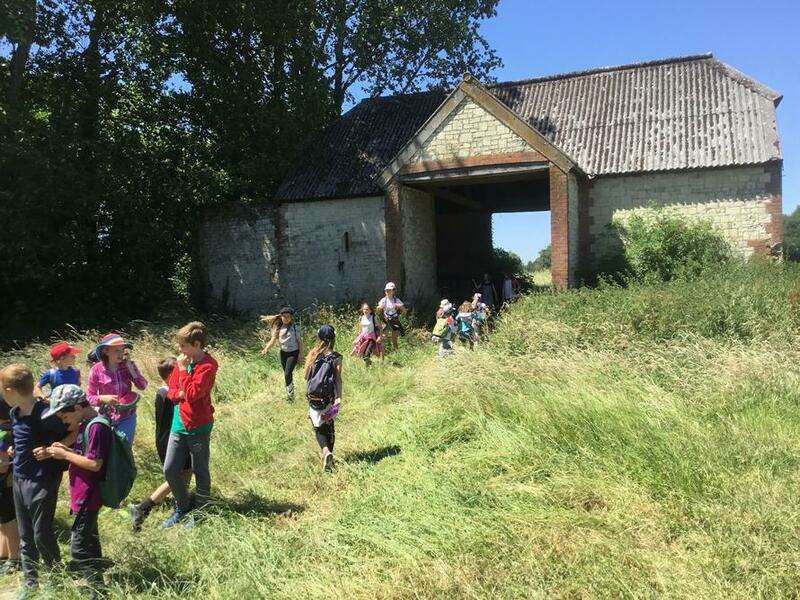 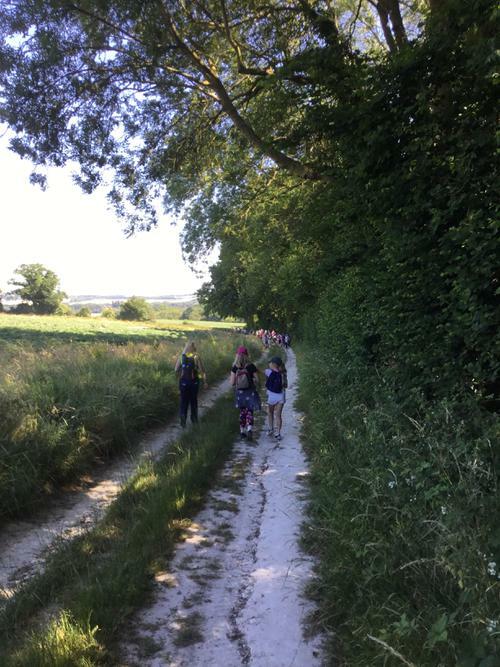 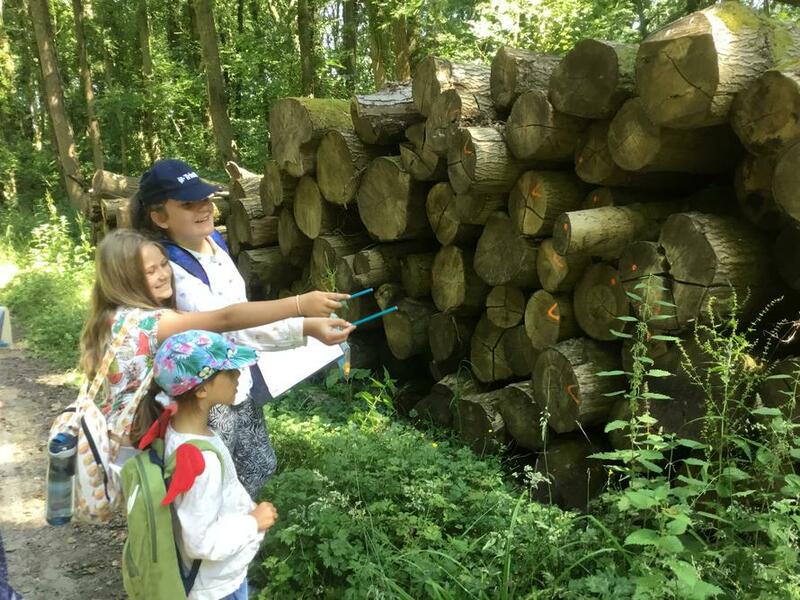 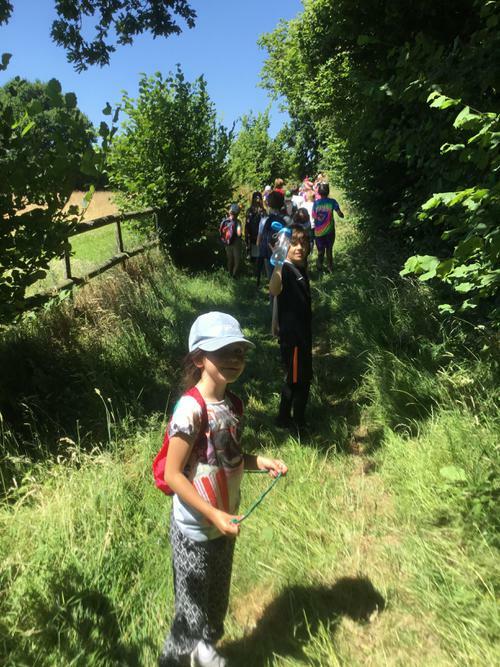 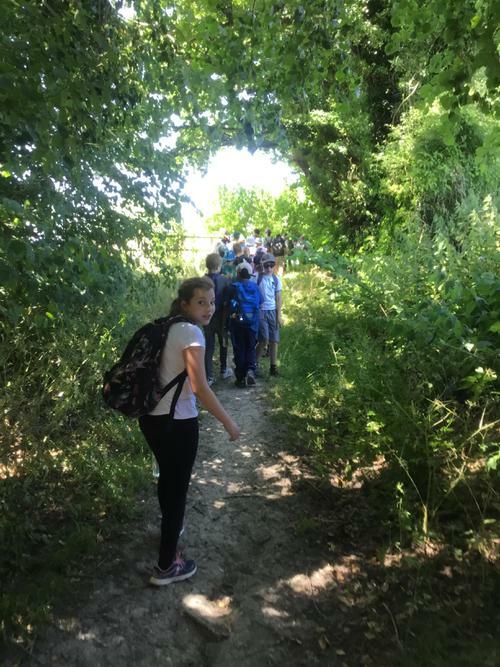 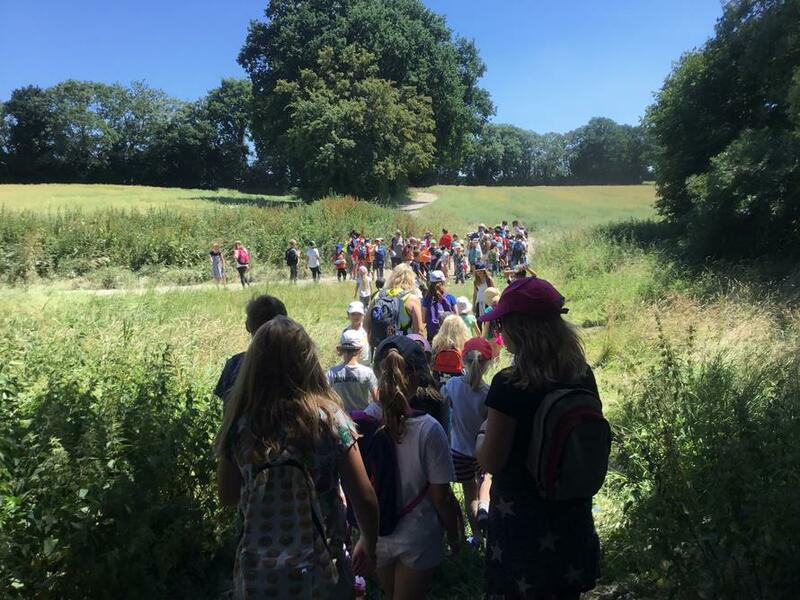 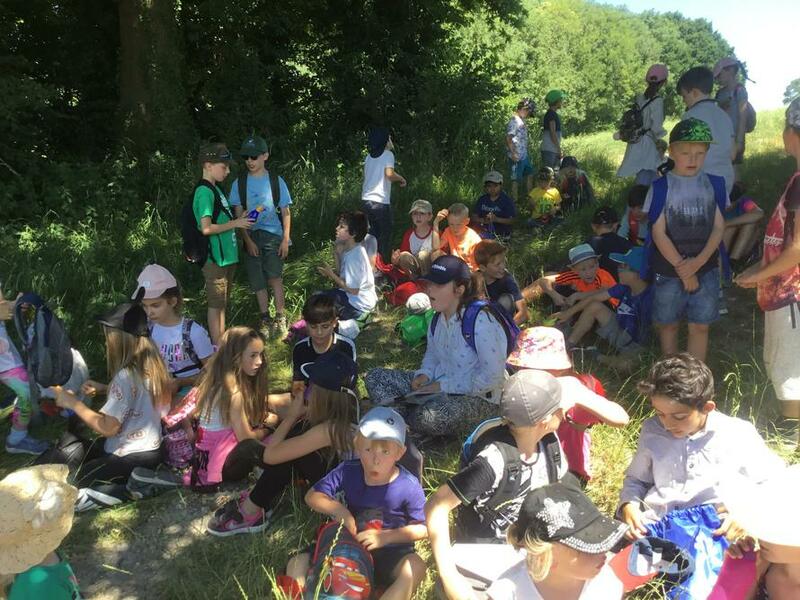 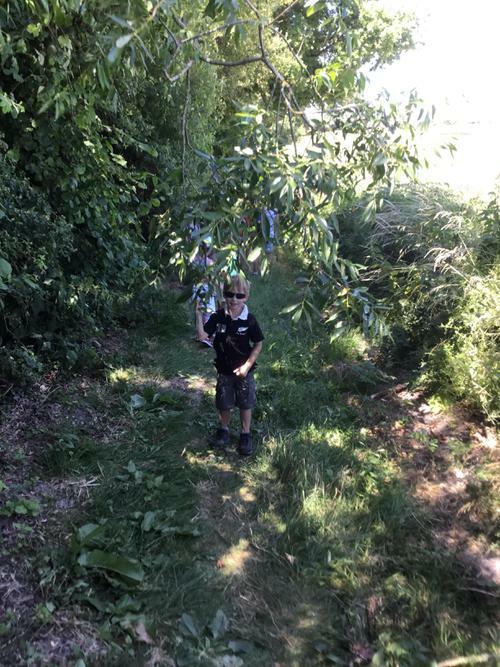 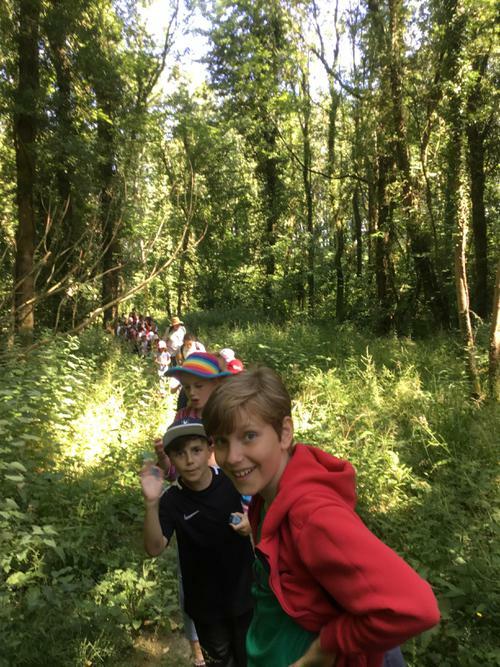 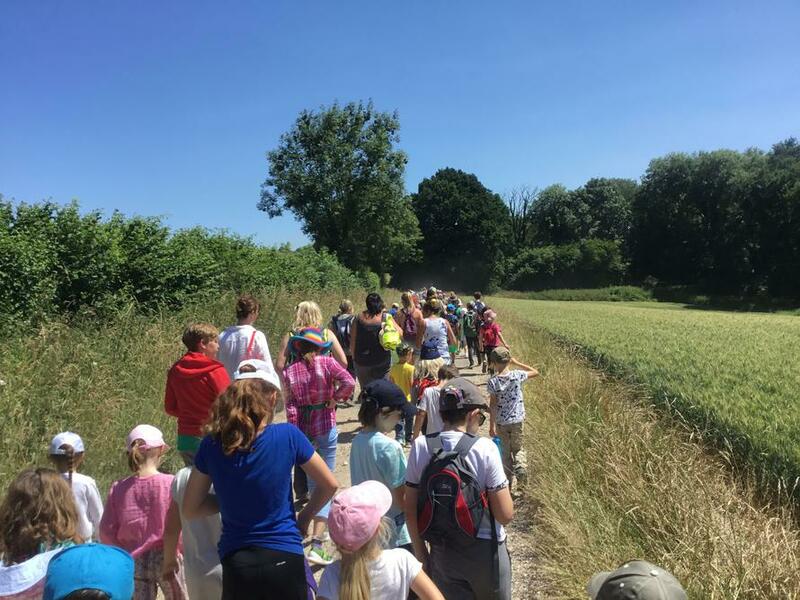 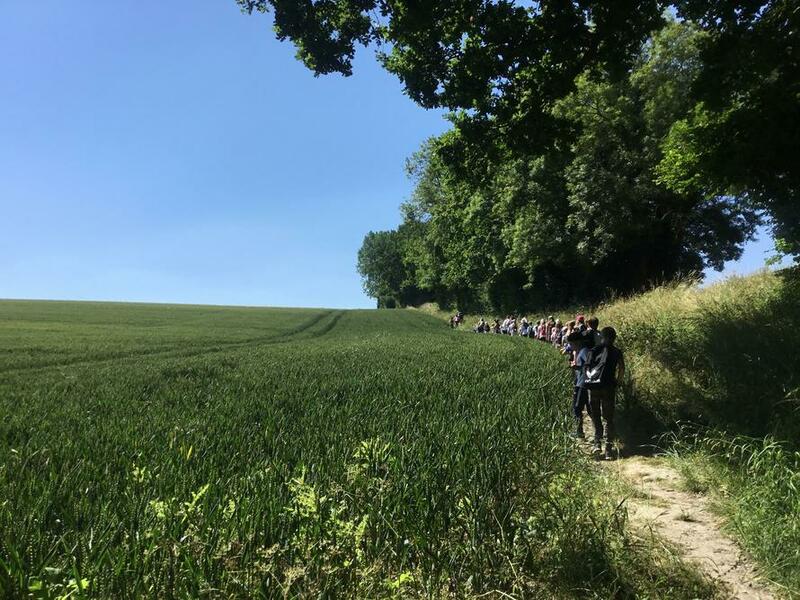 We went through some beautiful scenery and everyone enjoyed the chance to get out into the countryside instead of being back in our classrooms. 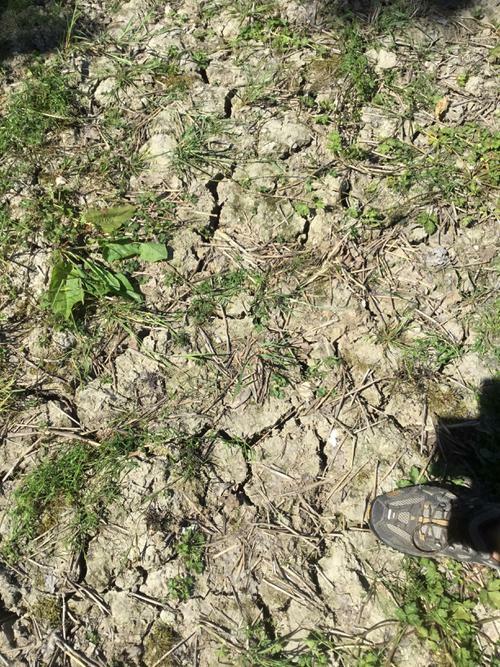 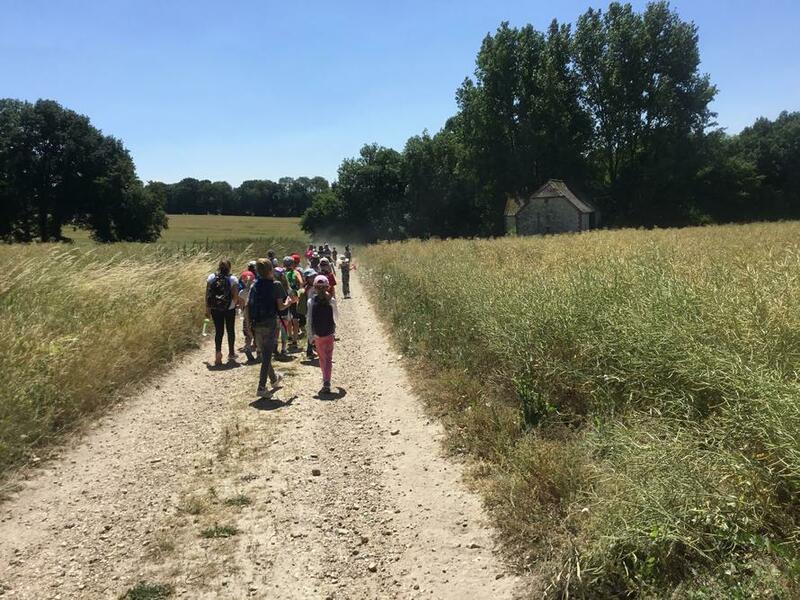 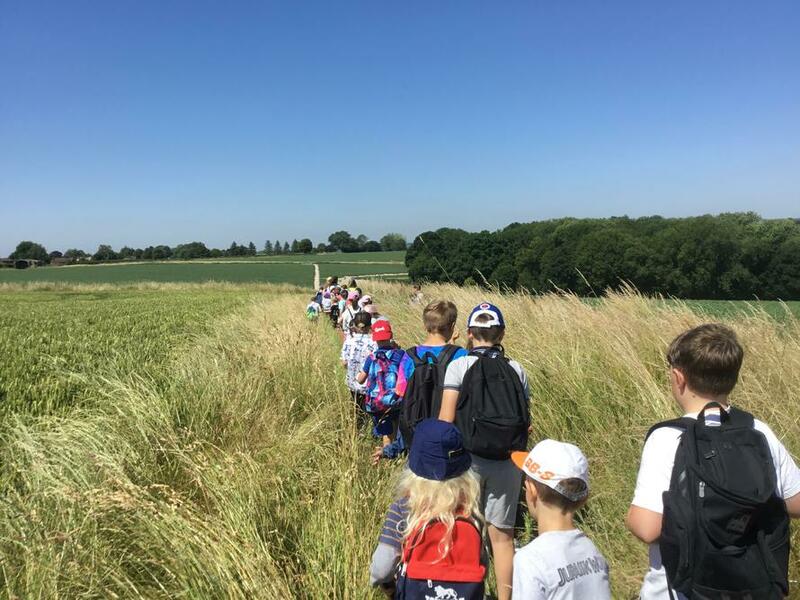 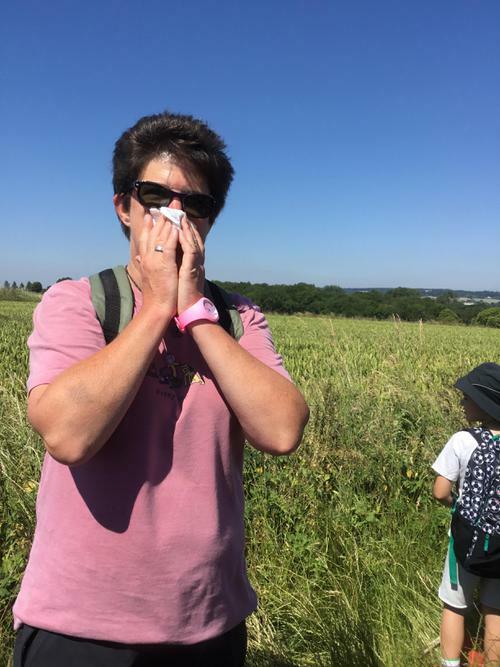 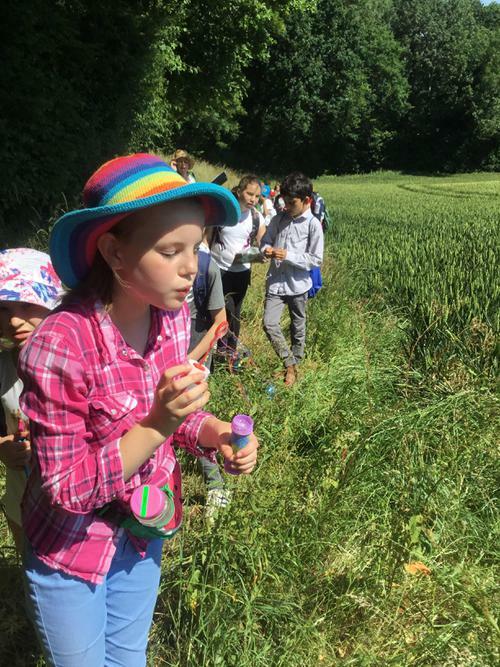 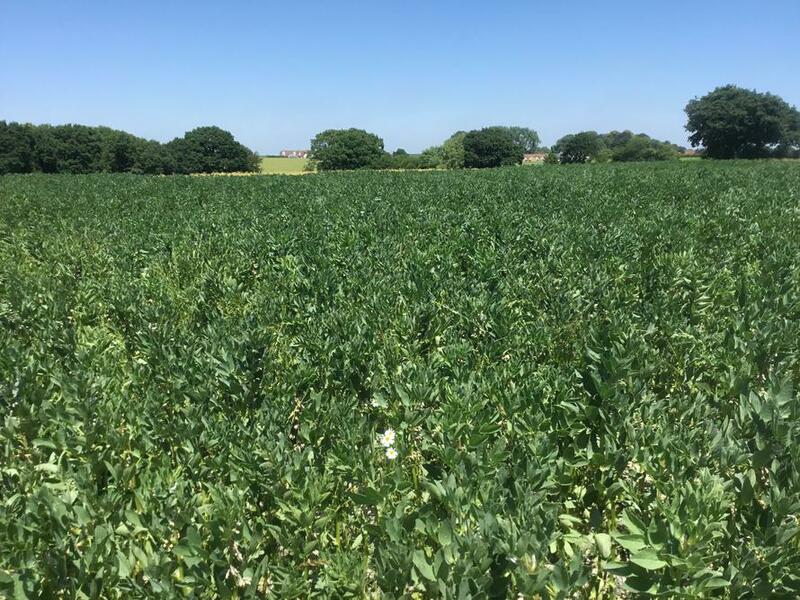 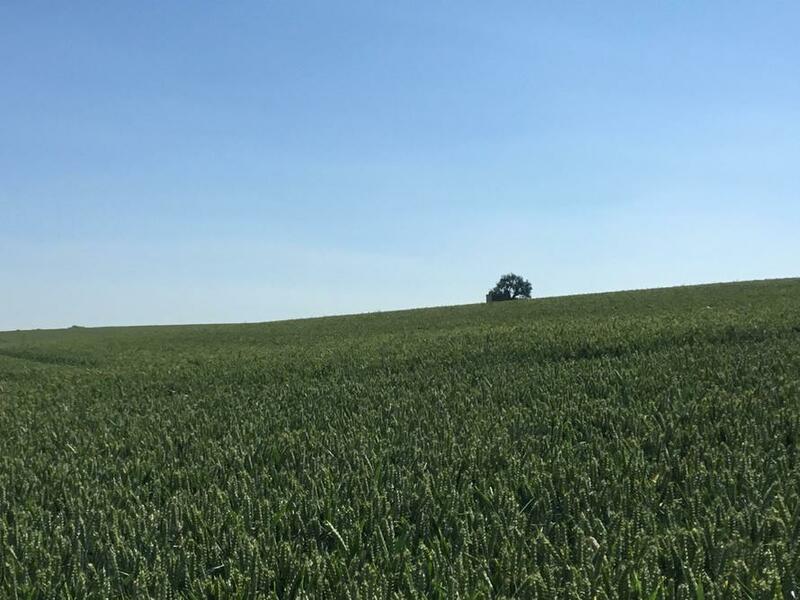 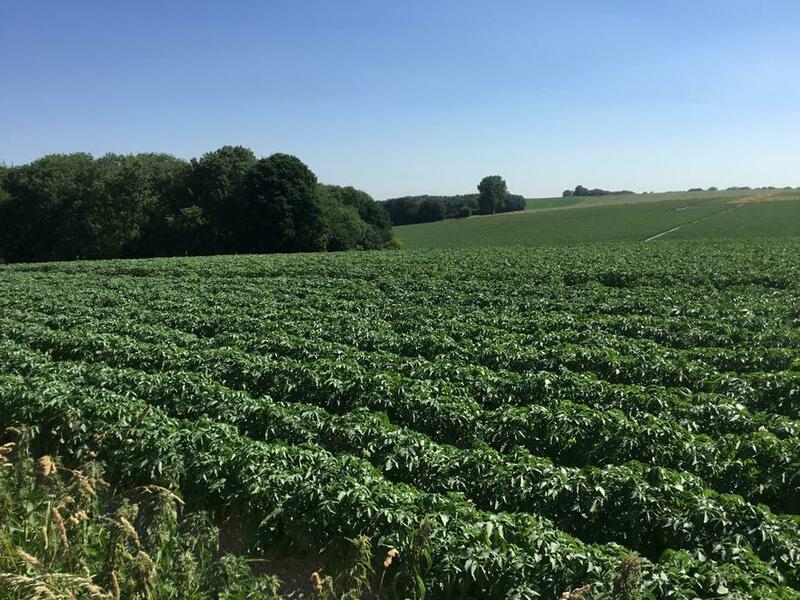 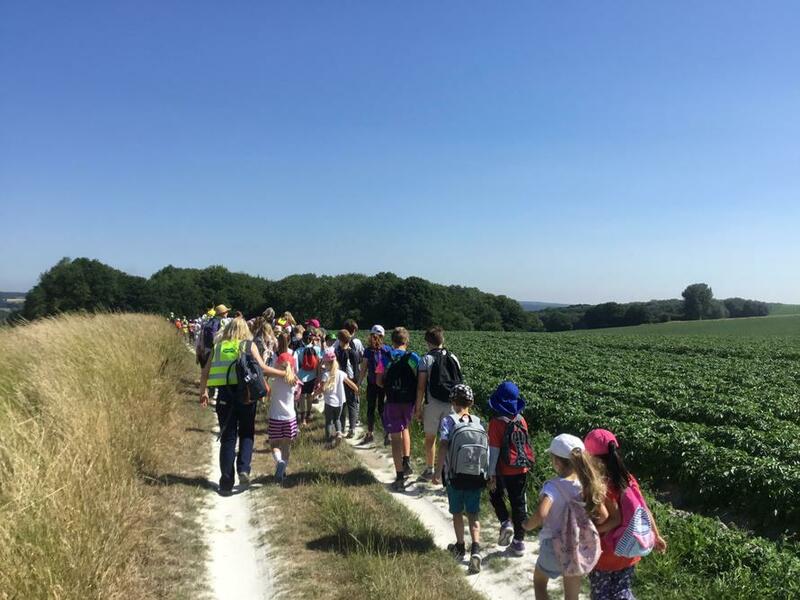 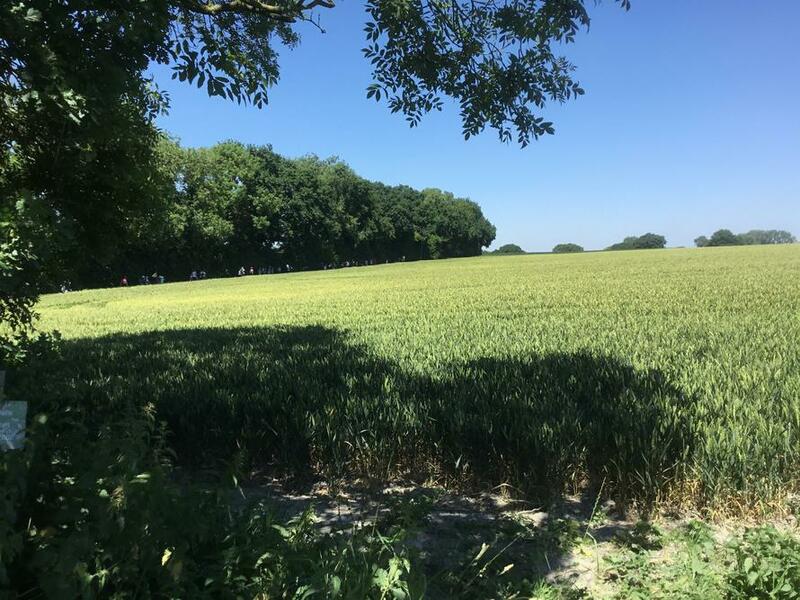 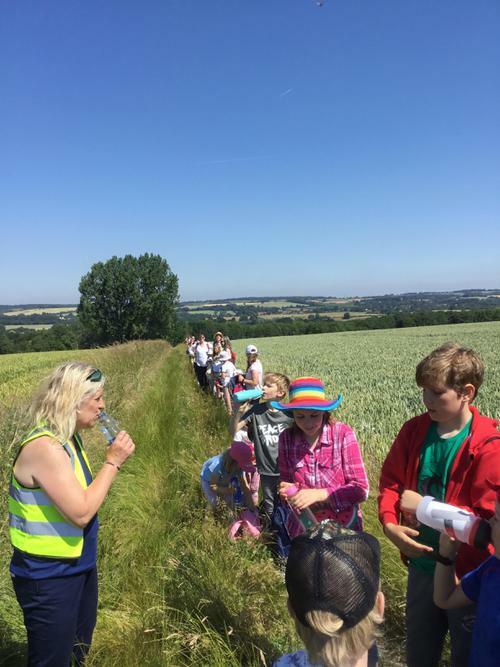 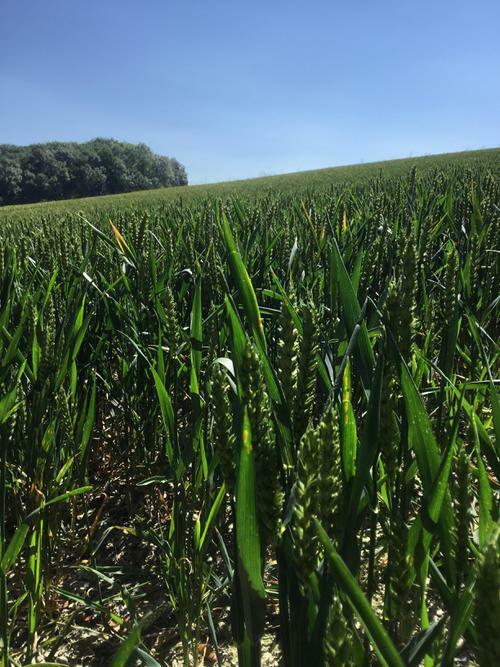 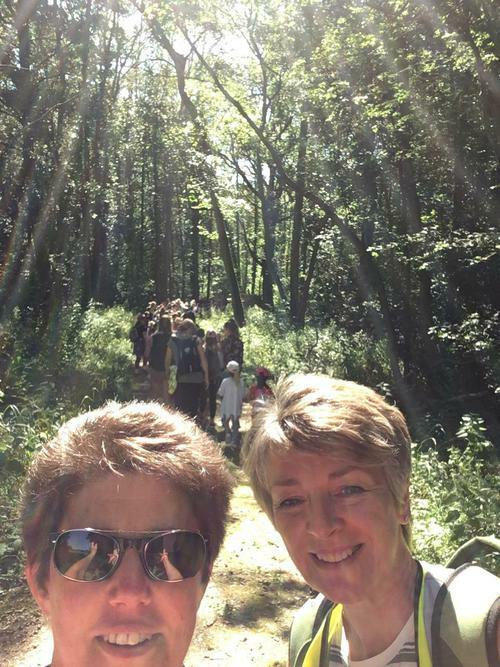 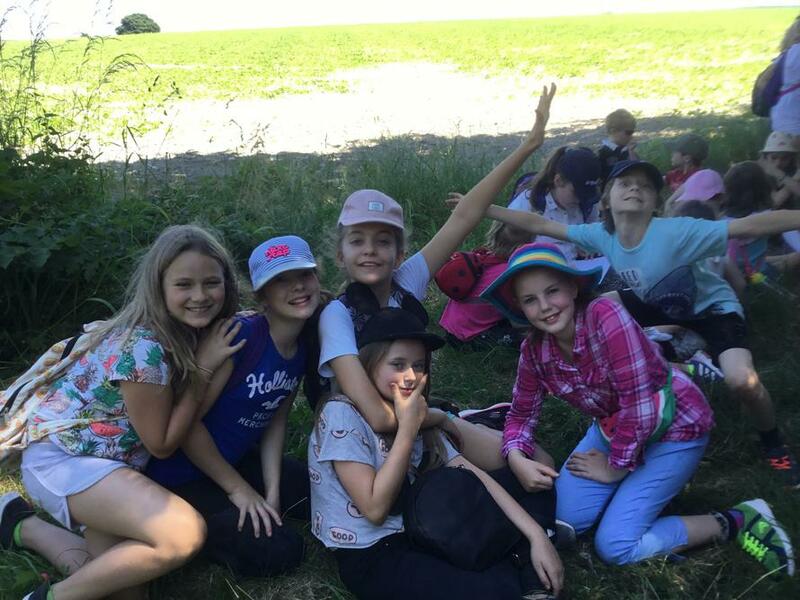 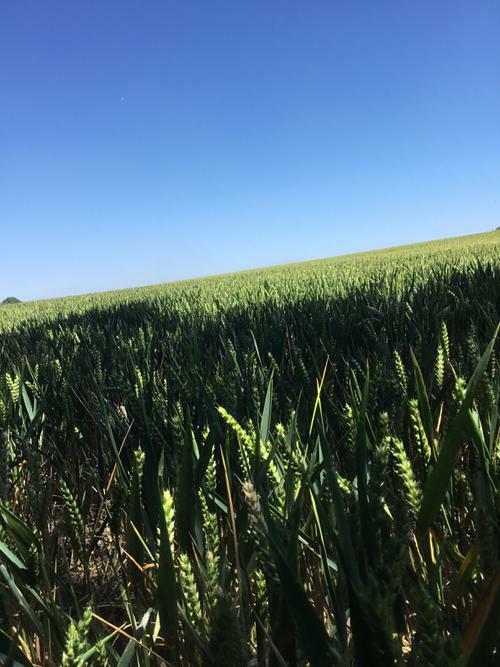 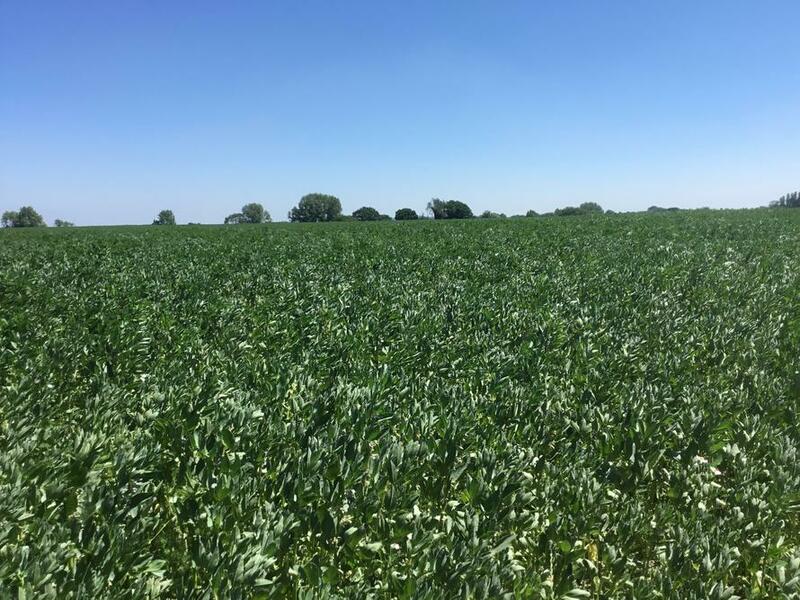 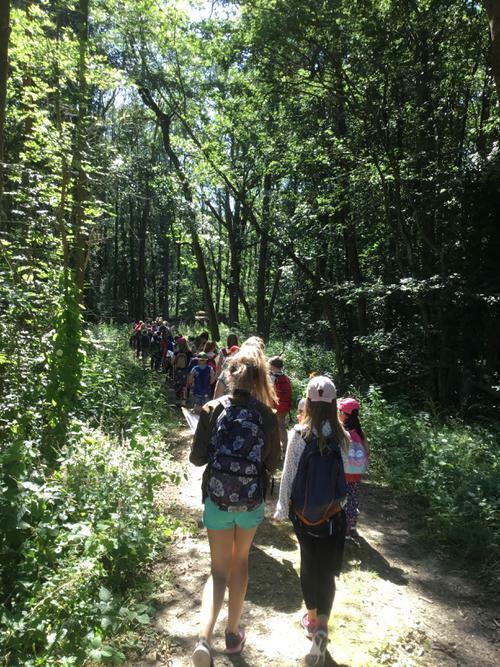 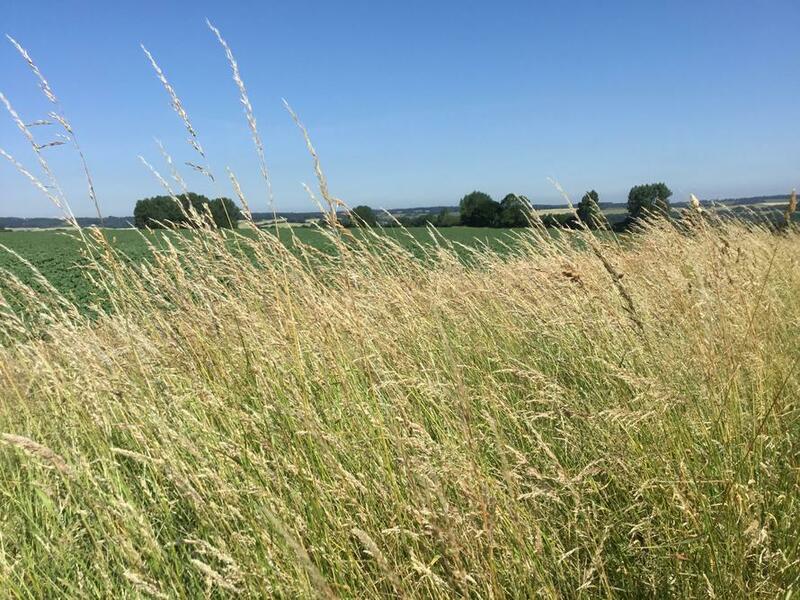 We walked through fields of wheat, potatoes, beans and woodlands. 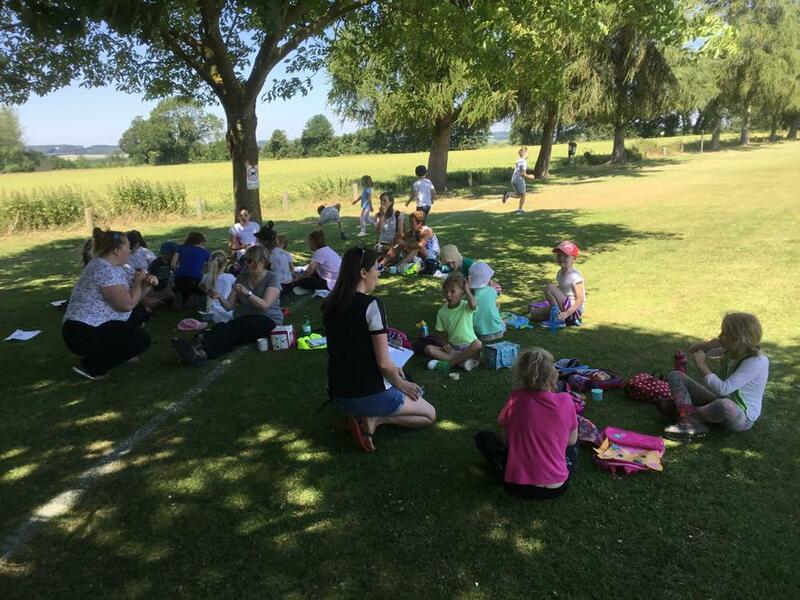 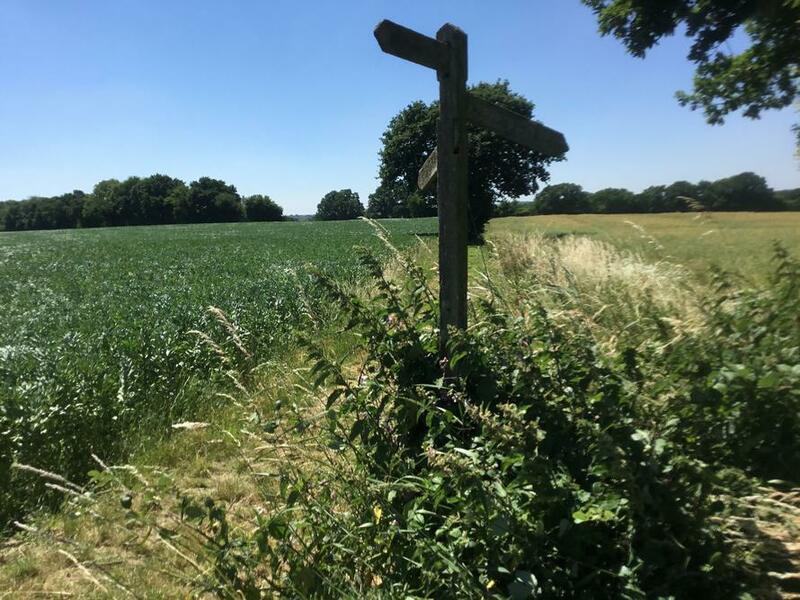 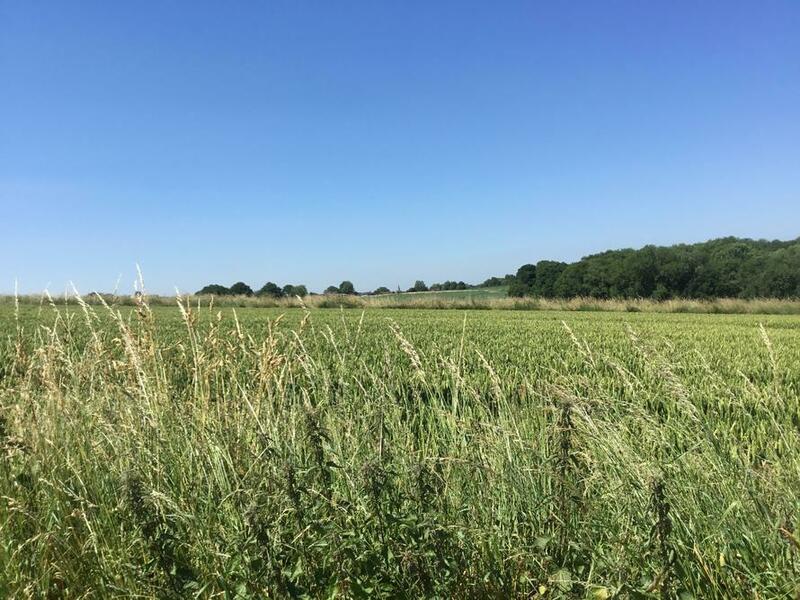 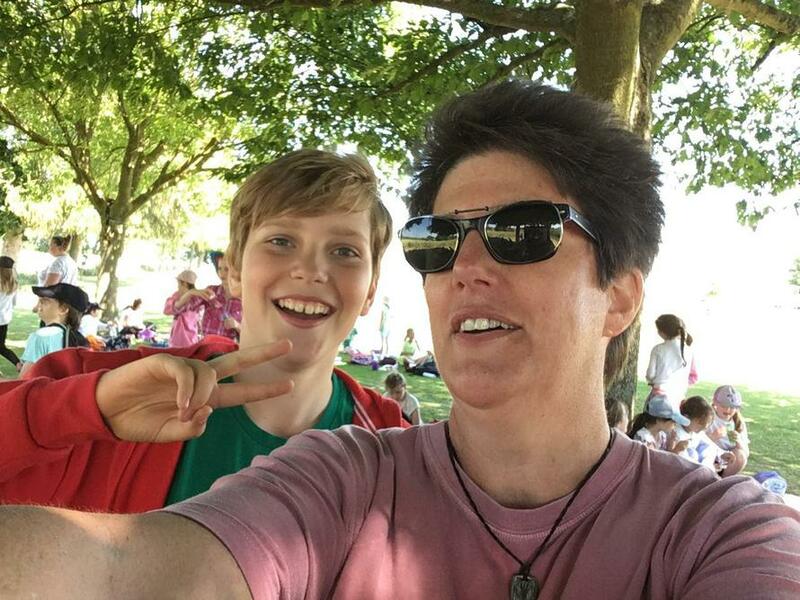 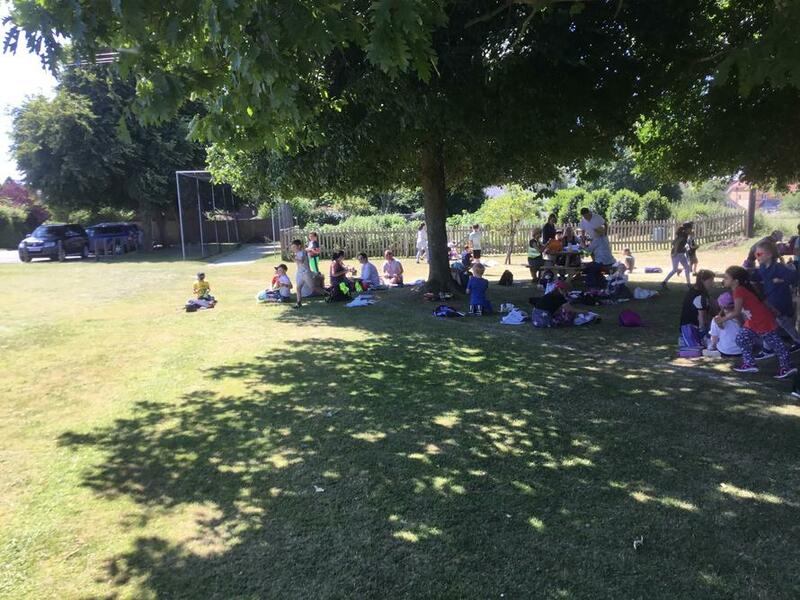 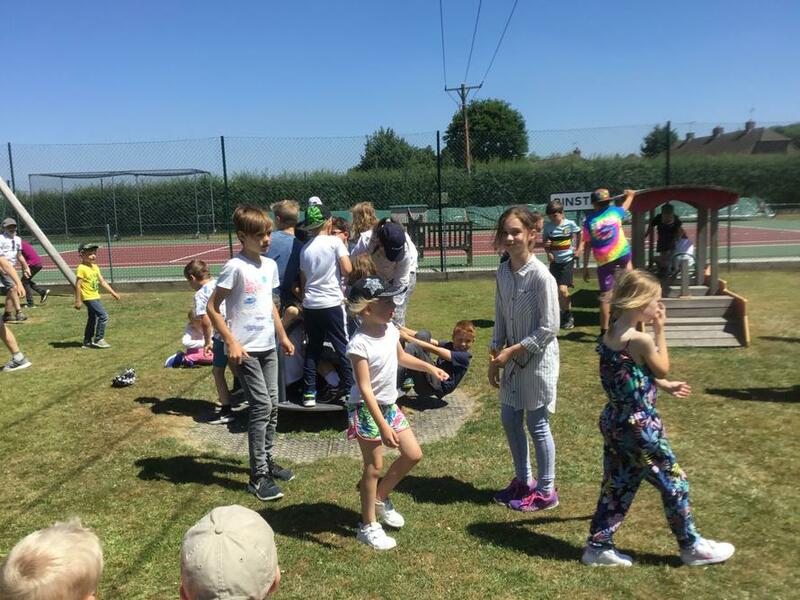 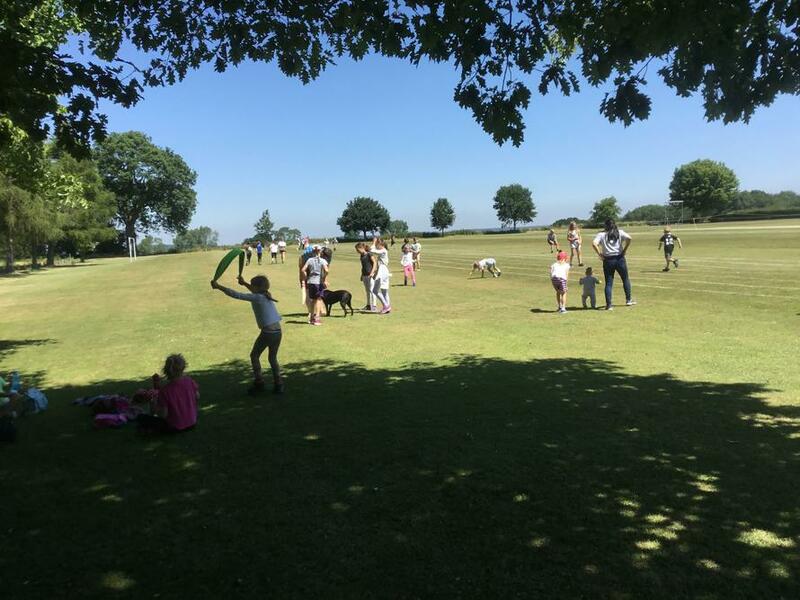 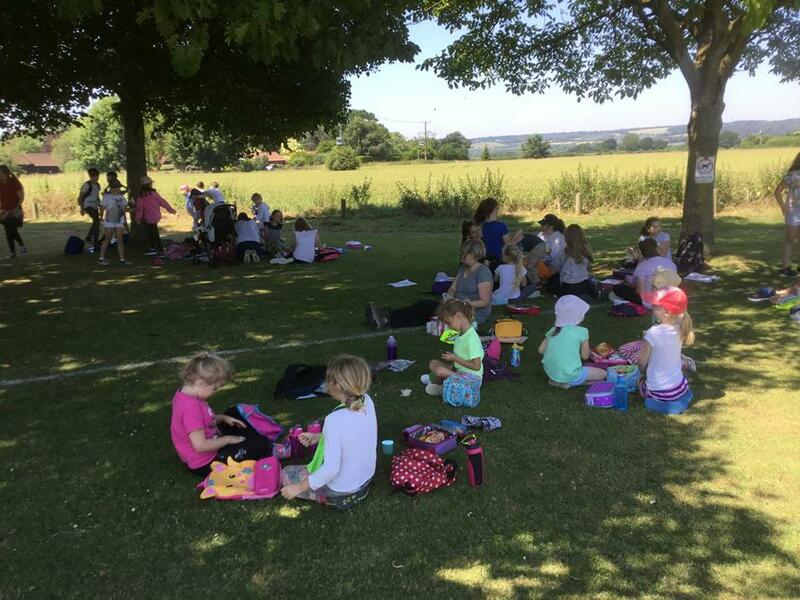 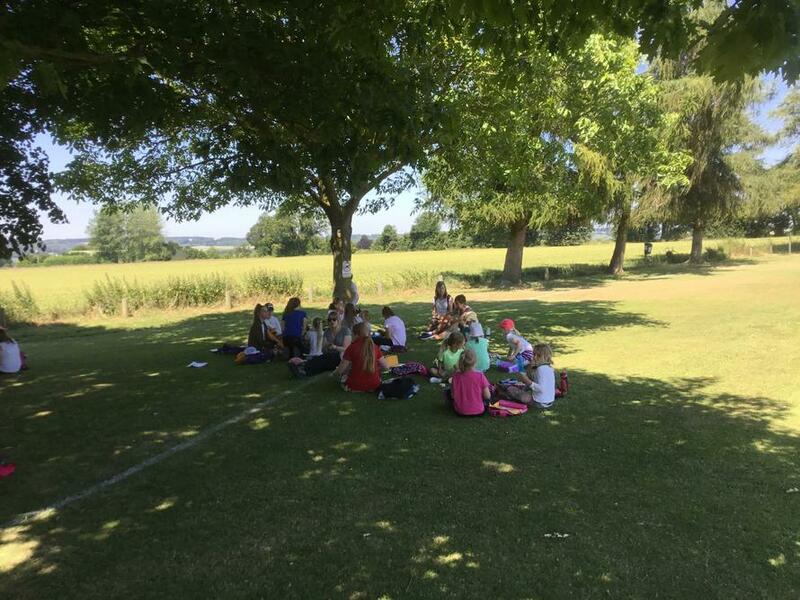 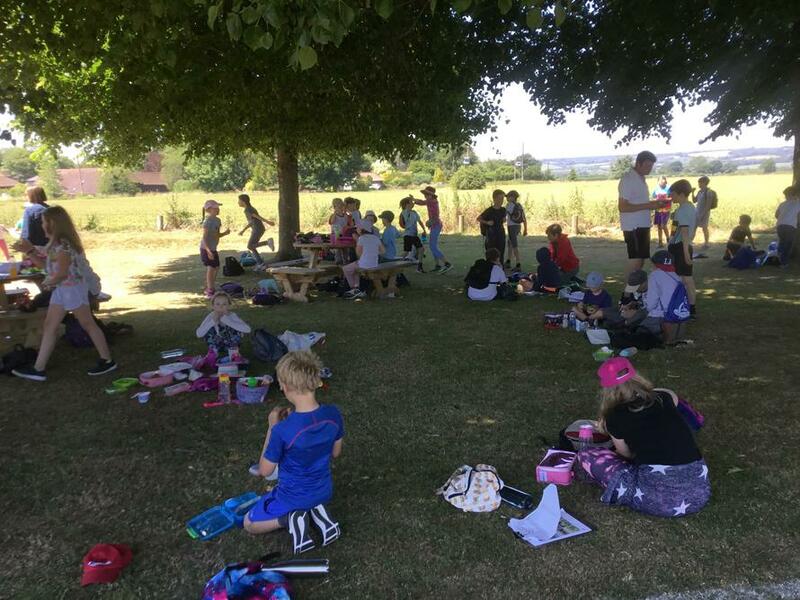 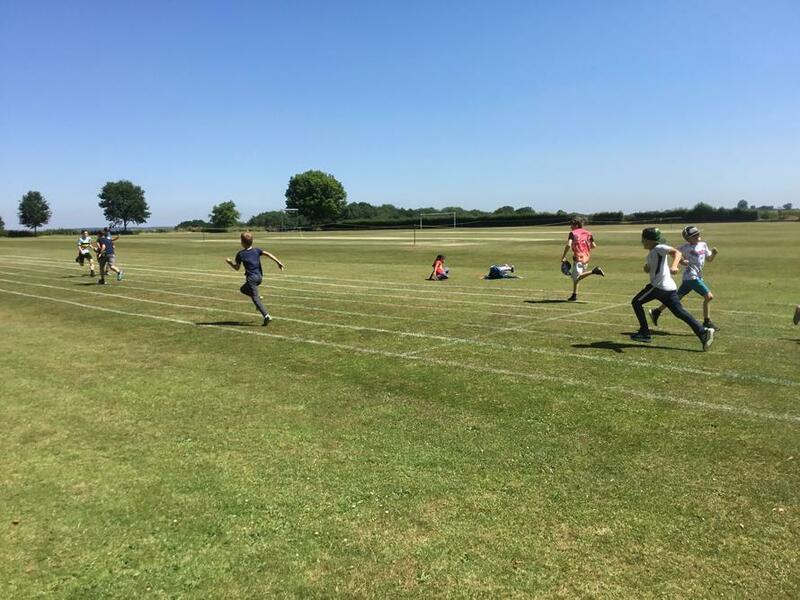 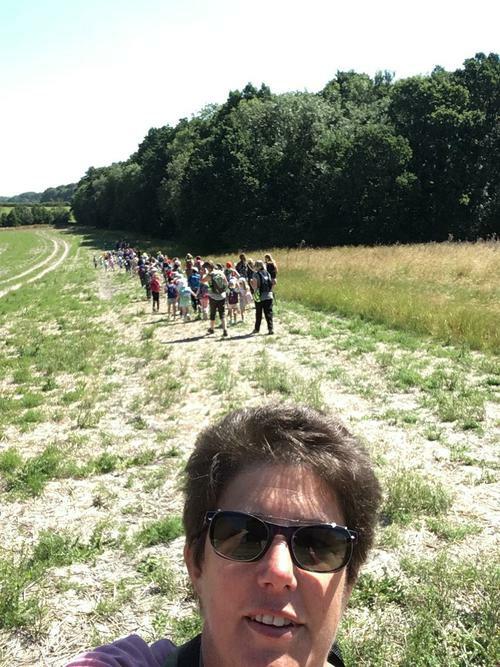 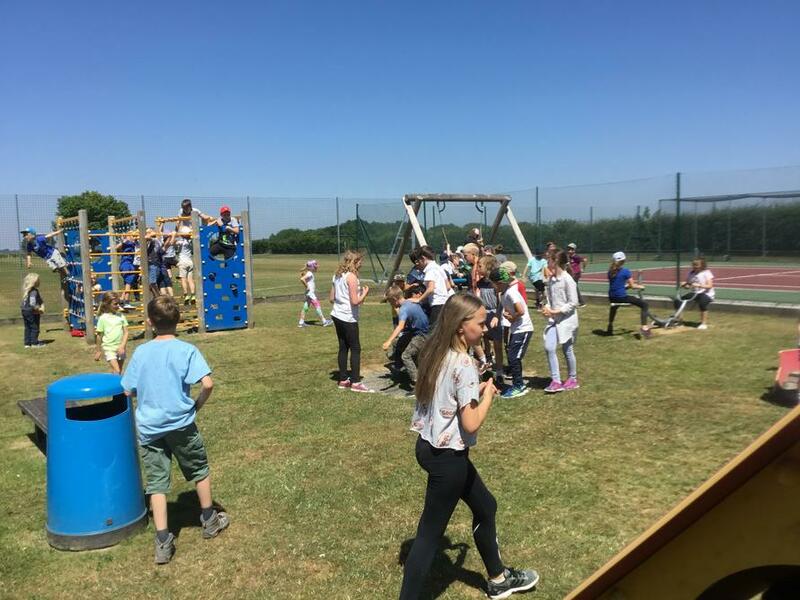 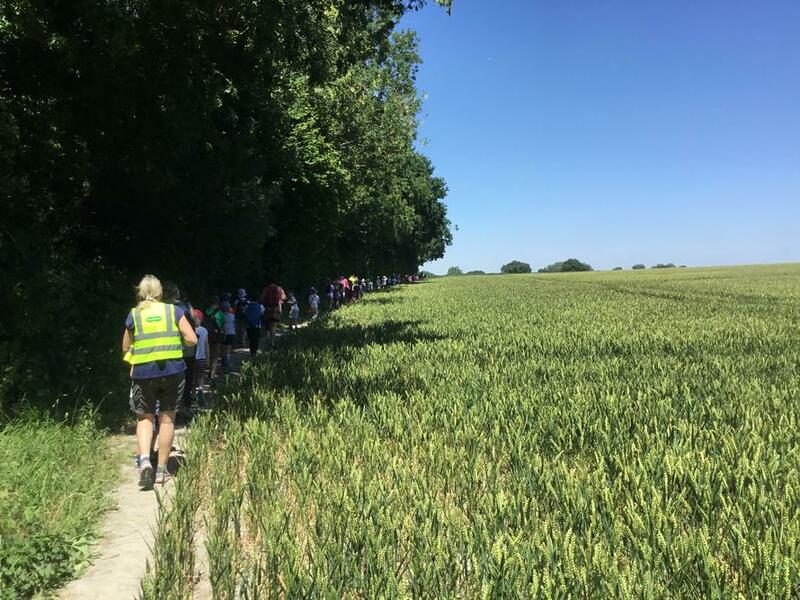 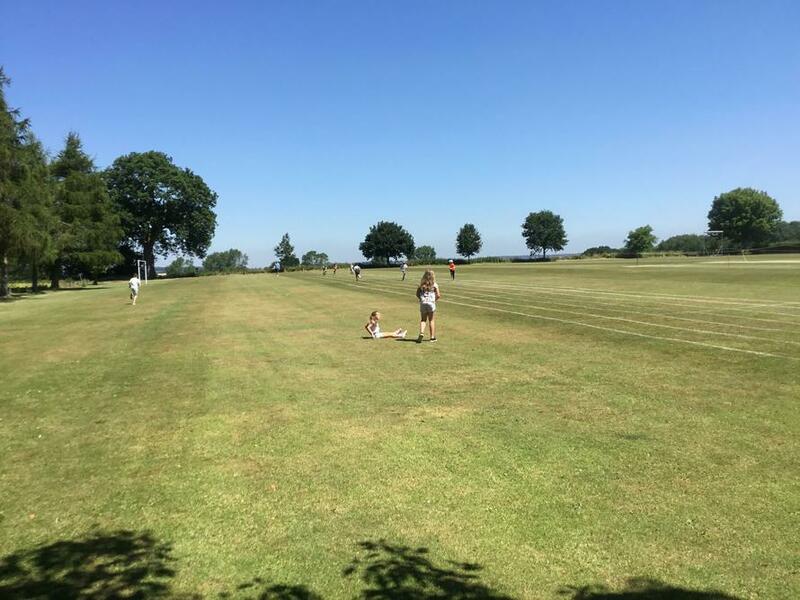 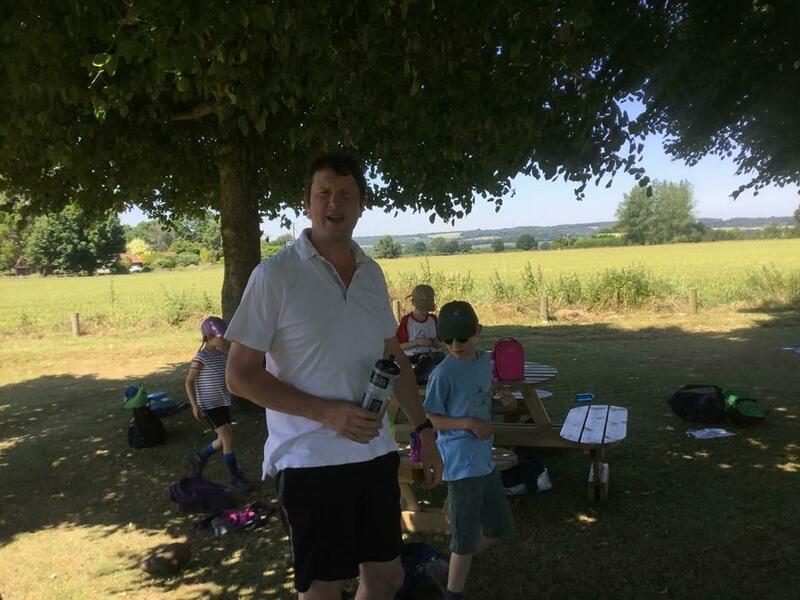 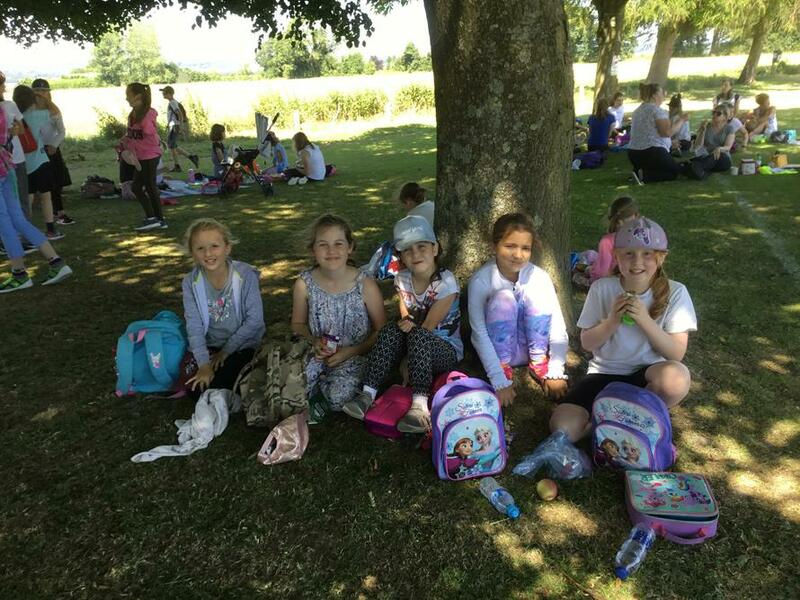 The day was divided into two - a 2 mile walk in the morning and a 2 mile walk in the afternoon - with a picnic lunch at the village recreation ground. 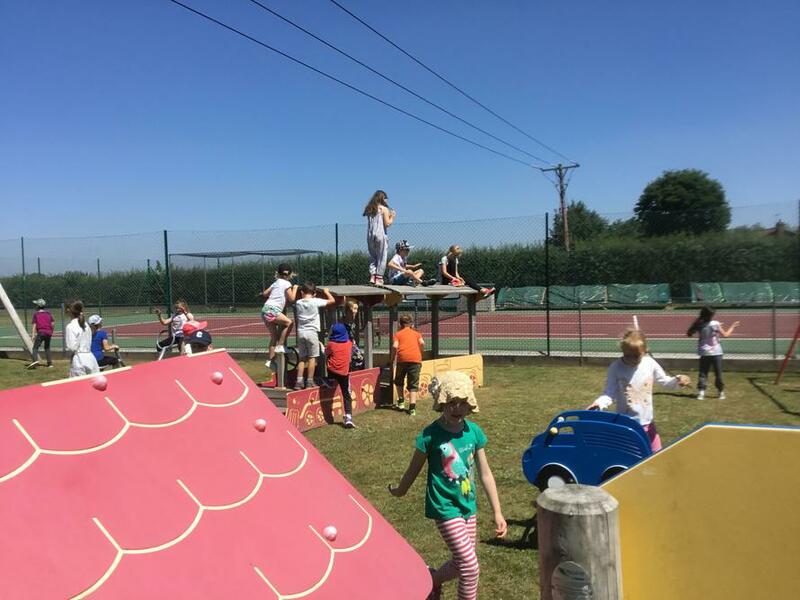 After a gentle stroll back into Binsted, we finished the afternoon walk with a visit to the 'rec' - letting off steam in the play park and field. 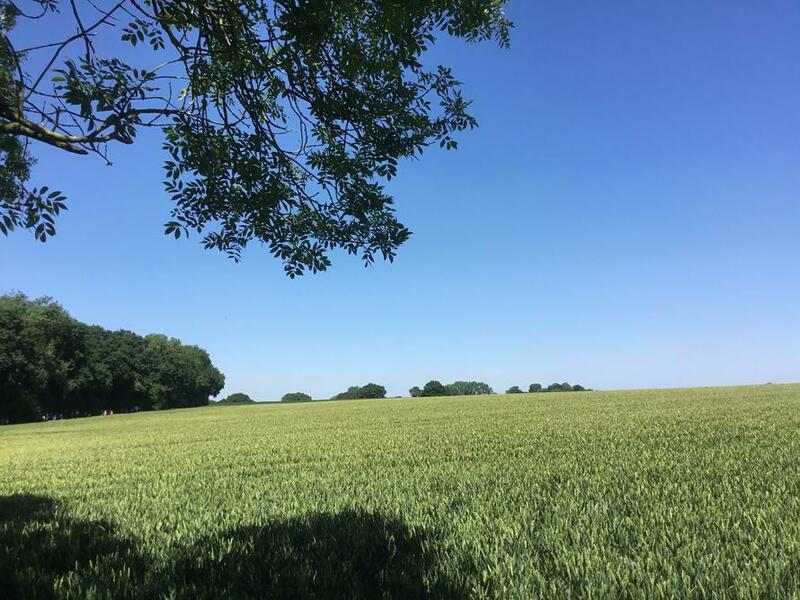 What made the day even more special was the amazing weather - sunny, blue skies and a temperature of about 27 degrees....sheer bliss!